I almost lost my breakfast this morning upon reading in today’s New York Times that a man named Pedro Hernandez, who confessed to police last week to murdering six-year-old Etan Patz thirty-three years ago, also confessed to some relatives and to a charismatic Christian group thirty years ago. I can’t even imagine how Etan’s parents feel. This “Christian” group apparently encouraged (or maybe still encourages) participants to “feel the Holy Spirit and unburden themselves of guilt for their sins.” The Times further describes the charismatic Christian gathering in Camden that Mr. Hernandez attended 30 years ago a “free-for-all of admissions of guilt, sometimes shocking.” Furthermore, the article says, the “groups grow hardened and numb to hearing them,” and that one Mr. Rivera explained it by saying that it wasn’t his “place” to tell because the confession wasn’t made to him alone, one-on-one, but to the group. One has to wonder what other confessions these people heard. Isn’t there a priest somewhere who understands and can distinguish right from wrong, and could have advised these people? My heart and soul goes out to Etan’s parents. This beggars belief. Does believing in God mean you don’t have to believe in justice? Thank you Fran for putting my sentiments into words. I too was shocked when I read the article in the NYT’s, but I just sat there in disbelief. I grew up Catholic, although I have recovered. I know confession, a Sacrament, is, first and foremost, secret. Between you and God, although done through a Priest, a Rabbi, a Christian Group, whoever your religion signals as conduit. No one in that Group had any right whatever to say anything about any confessions heard. I personally, many years ago, when I was touched by God, went to every one of those I had harmed & placed myself at their disposition, risking a lot by that. I had to do some real world penances, not any “three hail mary’s and two paternosters” but real restitution and/or accepting retribution. Most people, on hearing my confession and will to repair damage done; on seeing I had changed, just forgave me. All of those who forgave me were Christians. Most of those who exacted restitution and/or retribution were not. I was abused as a child, physically & sexually. 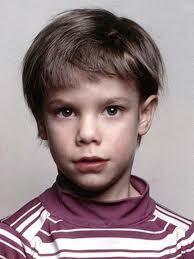 I understand I had narrow escapes from the fate of Etan Patz. Most abuse happened inside of family, but neighbors participated too. So. I don’t, for a minute, forgive Mr. Hernandez, but cannot include in my condemnation other people who took his confession and kept it secret. That was the right thing to do. If, however, Mr. Hernandez had offered confession AND restitution/amends/repair, then that Christian Group would have been obligated to tell authorities about it. See, that’s the problem I have with confession as understood by most religions: It offers an easy way out. Confession WITH the willingness to take upon ALL responsibilities, religious, moral, civil, legal, IS real confession. No other should be valid. But the courage to do that is almost absent in our society nowadays. And it doesn’t come from religion, but from its rejection. Thanks for writing, Mr. Latorre. I’m glad you’re a recovering Catholic, but I think your thinking is somewhat muddy. For one thing, in Judaism, I do not think there is any kind of formal “confession.” I could be wrong (and I invite any reader to correct me) but I would venture to say that no Rabbi on earth would hear someone confess to murdering a child (or committing any murder) and keep that to him or herself, regardless of whether the confessor offered to make restitution, amends, repair, or anything else. There is atonement, but this I believe only covers one human being to another, and since you are not able to make amends with a dead person that you killed I don’t think atonement would cover it. I don’t know about what a Priest or other Christian clergy is required to report, but I would HOPE that ANYONE who hears someone admit they killed someone would report this to the civil authorities, and find sanction for that in any religious tradition.